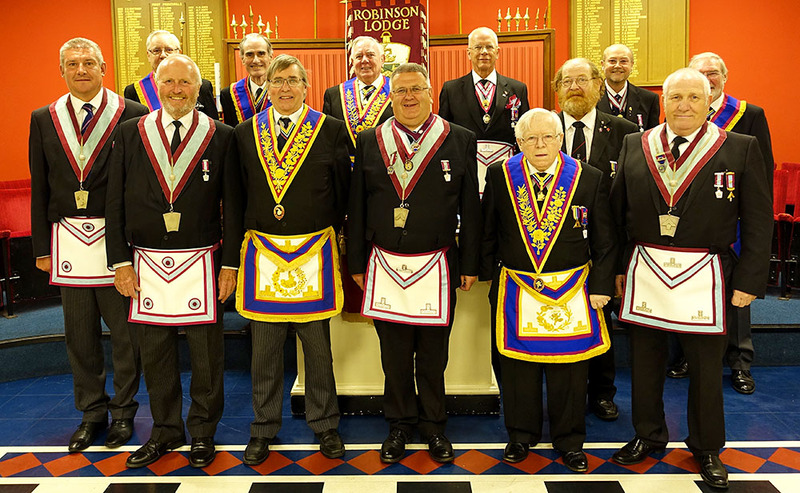 Robinson Lodge of Mark Master Masons No: 255 held their Installation meeting on the 26th of May at Maidstone Masonic Centre, Tovil, Maidstone, Kent. This was attended by the Provincial Grand Master’s representative W.Bro. Colin ‘Jake’ D. Jackson. The new Master W.Bro Steven Baxter was installed in a superb manner, a new joining member was also accepted at the meeting along with a possible 4 candidates for Advancement in the coming year the future is looking very good indeed for the lodge. The meeting was followed by an excellent Festive Board of roast chicken.